The ACT Alliance, the Lutheran World Federation and the World Council of Churches, call for a prioritization of climate justice as US President Donald Trump issues executive order withdrawing the US from the Paris Climate Agreement. They express deep dismay at this development, which goes against global commitments to address climate change. The three faith based bodies actively contributed the development of the Paris agreement, welcomed its outcomes and the commitments of the nations of the world to it. “Only 18 months ago global leaders welcomed the landmark Paris Climate Agreement for taking into account the immediate needs of countries most severely affected by the impacts of climate change. The move by the President of the United States today flies in the face of ethics and Christian values,” says Rudelmar Bueno De Faria, ACT Alliance General Secretary. “Addressing climate change equals protecting human beings, their workplaces and the economies of the world. The LWF will continue to promote climate justice, as an issue of intergenerational justice, in the conviction that creation is not for sale,” says Martin Junge, LWF General Secretary. “This is a tragedy, missing an opportunity to show real, accountable leadership for the future of humanity and our common home. This is a decision that is not morally sustainable – and not economically sustainable either. The struggle for climate justice has to continue,” says Olav Fykse Tveit, WCC General Secretary. The implementation of the Paris agreement is the only way for the human family to turn away from the threat of global warming. 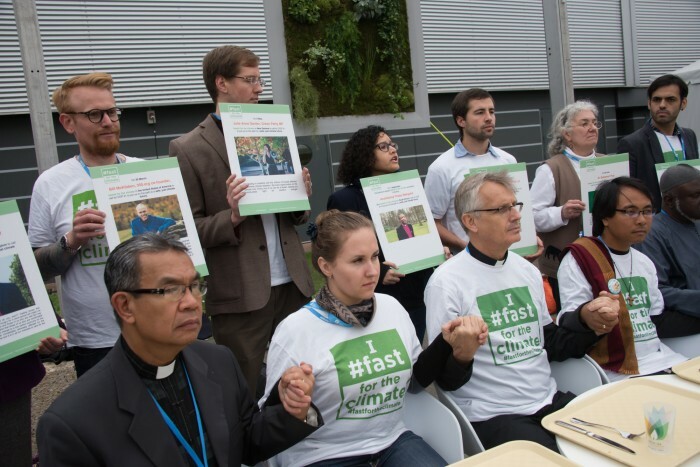 The ACT Alliance, the Lutheran World Federation and the World Council of Churches affirm their commitment to climate justice and call on the nations of the world to stand by the commitments of the Paris Agreement.